Wantagh, NY - November 6th, 2014 - Governor Andrew M. Cuomo today announced that the drive-through Holiday Lights Spectacular presented by the NYCB Family of Banks will return to the West End of Jones Beach in November, bringing back a Long Island holiday tradition last held in the park in 2007. 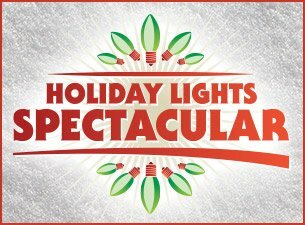 Partnering with entertainment giant Live Nation, the Holiday Lights Spectacular is a 2.5-mile drive offering visitors the opportunity to view more than 150 animated and synchronized light displays that will create a colorful and marvelous holiday experience. The Holiday Lights Spectacular will begin on Thursday, November 20 and run through Sunday, January 4. Visitors can enjoy the display each day from dusk until 10:00 p.m. Monday through Thursday and until 11:00 p.m. Friday through Sunday. Here is the schedule from their website. This year the Holiday Lights Spectacular will feature the inaugural Holiday Village. The Holiday Village will feature pictures with Santa, holiday refreshments, holiday music, local school choir performances, and a Hay Maze that will provide a magical journey through the sparkling lights in the Holiday Village. Admission for the Holiday Lights Spectacular is $20 per vehicle and $25 on weekends. Every Tuesday, “2 for Tuesdays” will offer visitors the opportunity to drive through the Holiday Lights Spectacular a second time for free. Earlier this year, Governor Cuomo announced the $65 million Jones Beach Revitalization Plan to expand recreational opportunities, restore historic and aesthetic grandeur, strengthen storm resiliency, and streamline park entry, all of which will improve economic development and increase visitation to the park. Subject: LongIsland.com - Your Name sent you Article details of "Governor Cuomo Announces "Holiday Lights Spectacular" Returns to Jones Beach State Park"